Today, Rick Owens’ retrospective exhibition SUBHUMAN INHUMAN SUPERHUMAN opens in Milan, we’re celebrating with a trio of stories about the designer. Head here for an interview with the man himself, and here to revisit ten of his most memorable shows. It’s one thing to craft an identity for a fashion label, but it’s another thing entirely to craft the customer. Every designer aspires to create a collection in which people can immerse themselves; a brand that they can truly live and breathe. But in the real world, people mix and blend, bringing various labels together to craft their own unique personal style. There are exceptions, of course, and the followers of Rick Owens are one of them. In fact, few dive headfirst into the world of a designer the way his supporters do. 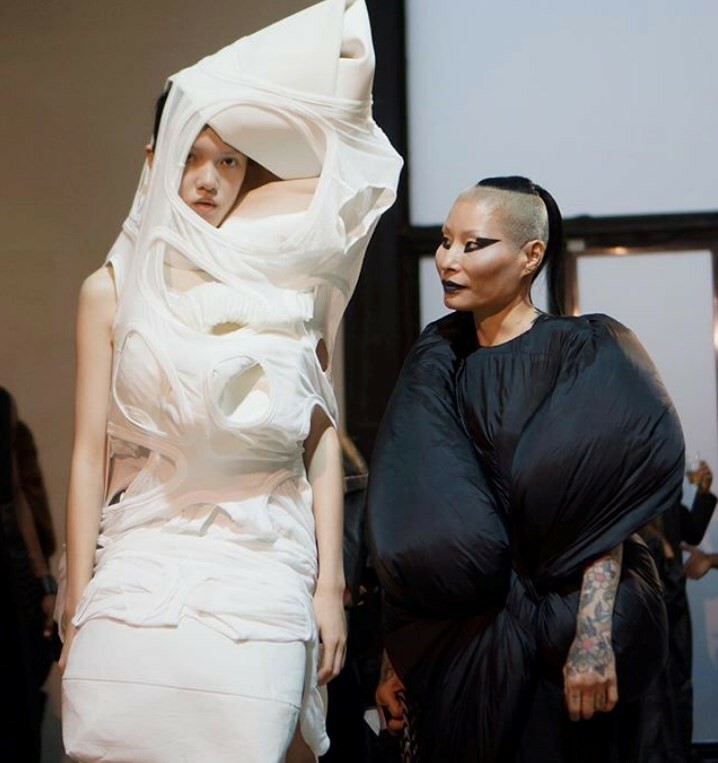 Known both formally and informally as the “Tribe”, these are the people for whom wearing Rick Owens’ clothing is a lifestyle, something which truly resonates with who they are. In fact, they have fallen so hard for Owens’ aesthetic that it’s difficult for them to imagine wearing anything other than his unorthodox designs. And they all have their own way of expressing the personal connection they feel to his clothes. Naturally, during our conversations, the designer’s recent popularity in mainstream circles came up. You might be familiar with the “health goth” trend of a few years back, of which his signature drop-crotch shorts and extended tank tops were unquestionably defining elements. Name-checks from A$AP Rocky and others certainly made Rick Owens one of the hottest designers around amongst trendsetters and social media elites a few years back. But how did this go down with the Tribe? SUBHUMAN INHUMAN SUPERHUMAN will be open from December 15 2017 to March 25 2018 at Triennale di Milano.